Every summer our whole family looks forward to all of the fresh veggies that our garden provides. Late July throughout August the garden is in full swing. 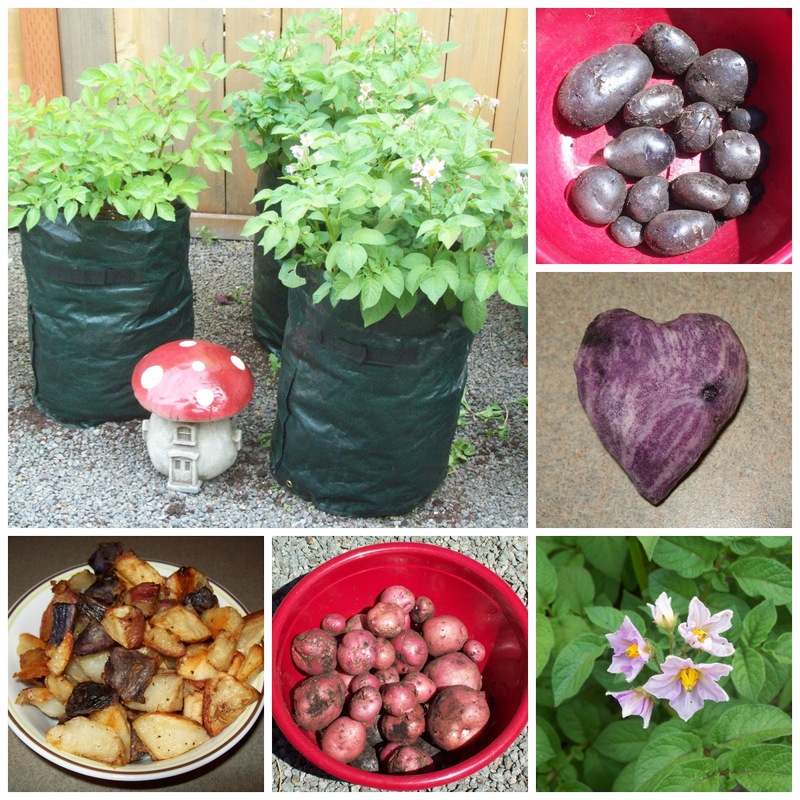 Here is an update to how our garden has been growing this season, as well as a few of the yummy recipes that we have been enjoying using our own produce. A yearly staple in our garden are the green beans. I grow both green and purple varieties. They got off to a slow start this year, but ended up growing beautifully, we are still harvesting large mixing bowls full every week. 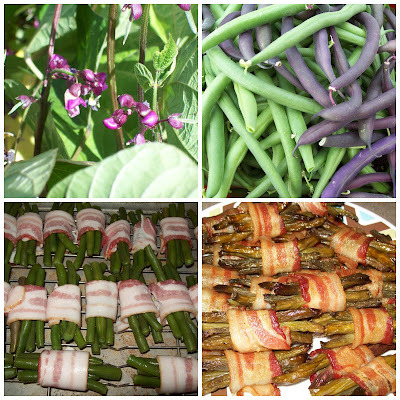 We mostly enjoy them steamed and drizzled with garlic and browned butter, this year for a treat I made the bacon wrapped green bean bundles that I kept seeing on Pinterest. The Green Bean Bacon Bundles took a bit of time to assemble but were well worth the work, they were delicious! I blanched the green beans first, then cooled them down with cold water, and wrapped five green beans in half a piece of bacon. I placed them on a metal cooling rack set inside a rimmed baking sheet, and baked at 375 F. until the bacon was crisp. Definitely something we will be making again - delicious! The zucchini started out very slow this year as well, we had some troubles with germination. 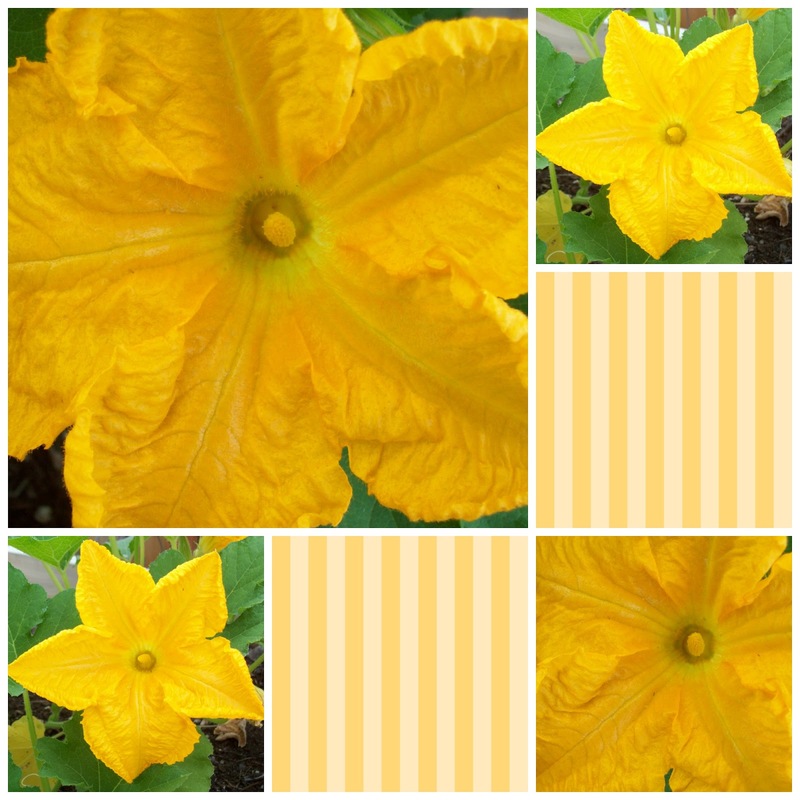 Fortunately the plants finally got growing, and although our zucchini crop was a little smaller than normal, we have still enjoyed some good zucchini along with our dinners. Just like the green beans we mostly enjoy the younger zucchini steamed and drizzled with browned butter and garlic. We still have a few extra large zucchini that will be shredded and made into zucchini fritters and zucchini bread, and stuffed zucchini. 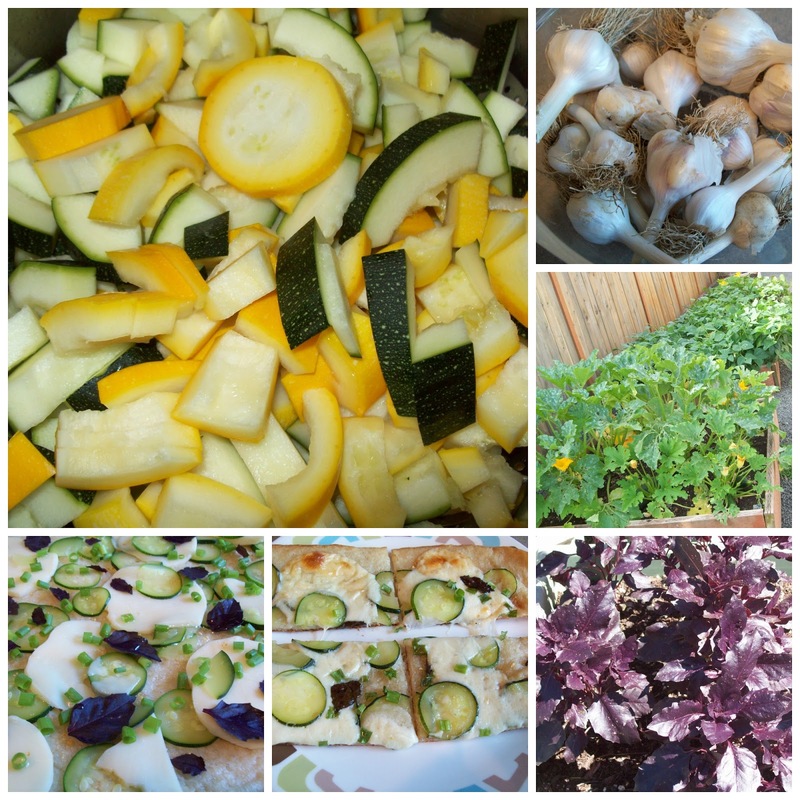 Last week I made us a delicious thin crust pizza for lunch using some of our garden produce- we had a crop of garlic this year from bulbs I missed digging up last season, our purple basil ended up growing very well, and is beautiful and very fragrant. So I made a pizza using thin crust refrigerated pizza dough, which I pre-baked for about 5 minutes, then topped with some pressed garlic and olive oil that I let heat up for a bit to saute the garlic, then cool back down (we like our garlic cooked more, otherwise we find it bothers our tummies, you could skip this step if you like your garlic less cooked). I then topped the pizza with slices of mozzarella, and thinly sliced blanched zucchini, and purple basil leaves. Then baked until the crust was golden and the cheese was melted. It was very good, next time I will add more zucchini, it was a great pizza topping! 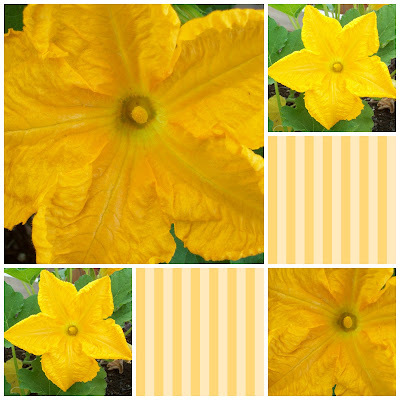 One of the most pretty things out in the veggie garden this week are the pumpkin and winter squash blossoms. They are so pretty and sunshiny I can't help but want to walk out in my garden every time I spot them out my window. This morning I spotted a few tiny pumpkins! Some of the most pretty things out in my garden right now have planted themselves. 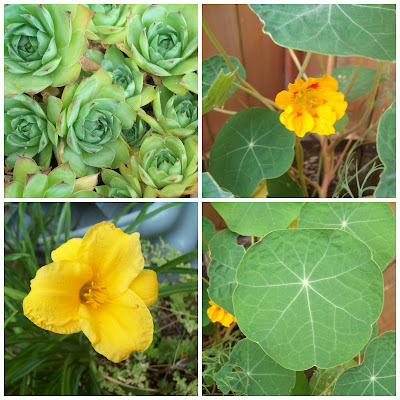 In my corner garden, all around the hydrangea, volunteer nasturtiums and California Poppies have grown, they look really pretty by the old and new growth on the hydrangea. 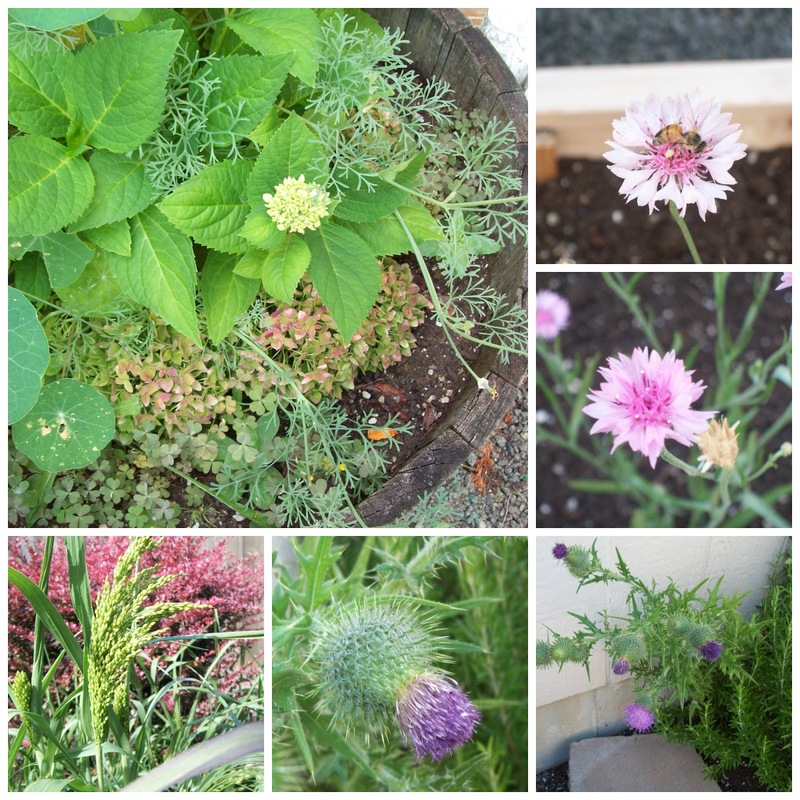 One pink bachelor button plant popped up in the center of the raised bed I have waiting for fall kale transplants. We always have a few thistles pop up in the garden, usually hiding behind something, I love their flower. You can read all about the giant thistle we let grow one year as an experiment in my post Blueberries and Thistle, I imagine the smaller thistle are offspring from the giant thistle of 2011. This year we have let some of the bird seed go to seed, and have some very pretty millet grass growing around the bird feeders, we plan to pick and dry some of the millet sprays to leave out for the birds this fall. 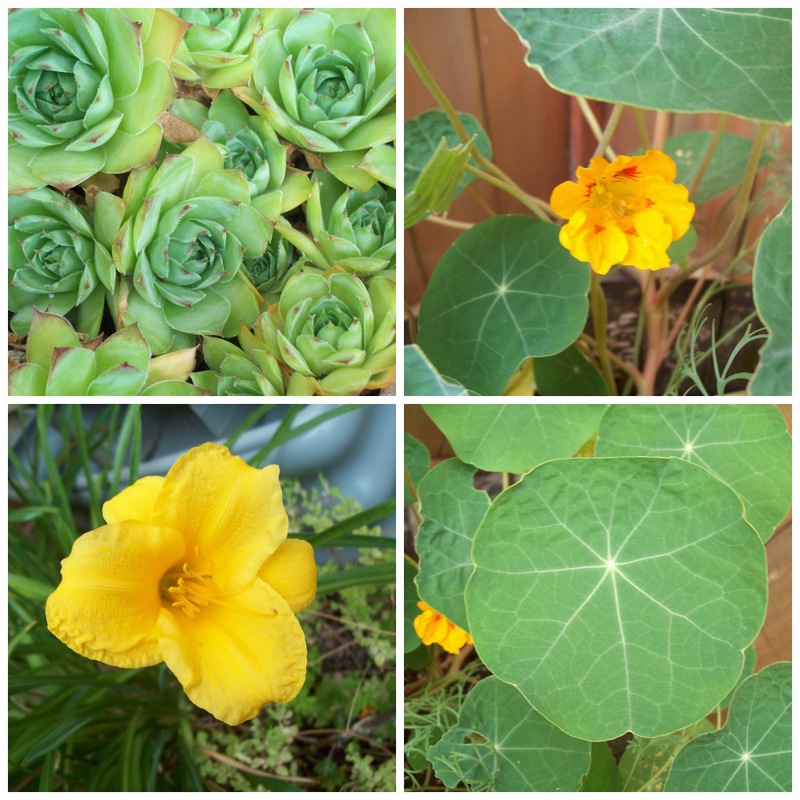 The hens and chicks are doing nicely, all of our succulents grow very well here, and the nasturtium and daylilies are brightening up our little corner garden. I love nasturtium leaves they remind me of lily pads. 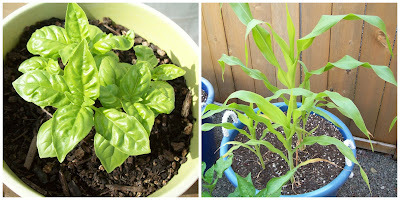 The weather has been warm and muggy, and we have been getting some rain here and there, which the garden enjoys. We have had some thunder and lightening during this first half of August as well. The sky has been putting on quite a show some evenings. One night it went from an orange to a purple and a rainbow during one of the prettiest sunsets I have seen in some time. I am really looking forward to the rest of the summer! Thanks so much for stopping by and for your encouraging words as i continue my weight loss journey! !